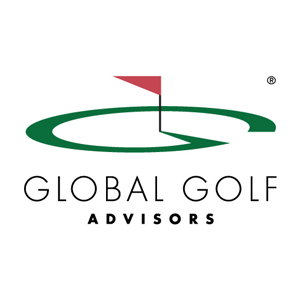 Global Golf Advisors (GGA), the largest professional services firm in the world specifically focused on the business of private clubs, has announced a partnership with Golf Management Australia (GMA) and its support for the 2017 GMA Conference. Formerly known as KPMG’s Golf Industry Practice in North America, GGA serves more than 2,900 clients around the world from four global offices in Canada, Europe and the United States. GGA’s Asia-Pacific Office in Sydney, is directed by Paul Hinton who joined the firm having served as General Manager at Royal Sydney Golf Club for the last eleven years. “We are honoured to be partnering with GMA at their 2017 Conference in Adelaide and to demonstrate our support for the professional development of club leaders throughout the Asia-Pacific region,” said Mr. Hinton, a professional with more than 25 years of golf, private club and hotel and resort experience. Hinton has previously served on the GMA NSW Board for six years, including three as president. GGA is a passionate supporter of club managers, reflected in the firm’s commitments to the Club Managers Association of America (CMAA), Club Managers Association of Europe (CMAE), The National Club Association (NCA), Asian Club Managers Conference, CMAA China Chapter and The National Golf Course Owners Association of Canada (NGCOAC). For 25 years, GGA has effectively shared its best practices, industry-specific statistical data and creative thinking with its extensive and diverse client base. The firm’s long history of service, combined with its global reach, allows GGA to advise clients in all areas of operations based on precise, empirical data and considerable industry experience. Paul Hinton can be reached at phinton@globalgolfadvisors.com, +61 (0) 415 222 607. GGA is the golf industry’s leading authority on successful course ownership and management practices, club governance, club lifestyle enhancement and member facilitation.